Enjoy peace and serenity on 63 acres in a quiet country setting while also enjoying convenient access to Route 125, the Spaulding Turnpike and downtown Rochester shopping and businesses. 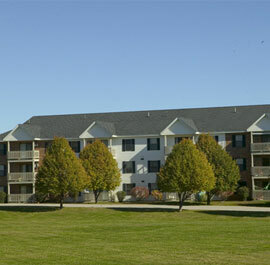 Enjoy the peace and tranquility of country living at Country Brook Apartments. Country Brook offers spacious one and two-bedroom garden style apartments, with great parking, prompt maintenance service and an on-site professional management staff. Our buildings are cleaned daily and the professional staff takes great pride in ensuring that all apartments are carefully restored to “like-new" condition upon turnover. This attention to detail makes Country Brook surpass its' competition. We would welcome an opportunity to meet with you and introduce you to our fine apartment community. 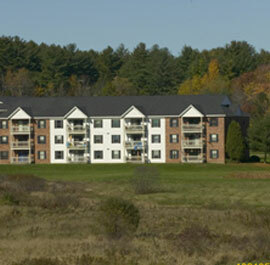 See for yourself why we dare to rate Country Brook as one of the finest apartment communities in Rochester. Take the Spaulding Turnpike/NH - 16 to Exit 12, Route 125. Take 125 south approximately 7/10 mile.On the right see the Country Brook sign. The the right onto Hemingway Drive and follow the signs for Country Brook to the Leasing Office sign. Office is in Building 68, Number 5. Please buzz intercom for entry. THIS IS NOT TO BE USED FOR EMERGENCY REQUESTS. IF THIS IS AN EMERGENCY PLEASE CALL OUR ANSWERING SERVICE AT (603) 626-3443. Eastgate is managed by JCM Management Company, Inc. of Manchester, New Hampshire. 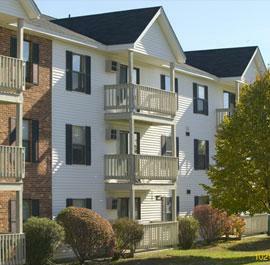 JCM specializes in the management of a variety of residential and commercial properties in New Hampshire and Massachusetts. JCM has a well-earned reputation for attractive, efficiently maintained properties that prove to be assets to their neighborhoods and communities. Additionally, Eastgate residents are served by an on-site Management/Rental Office as well as by a 24-hour emergency service system. For routine, non-emergency work orders please fill out the following with your name, address, phone or email, description of the work to be completed and whether or not we have permission to enter. We will contact you when we have an approximate time for doing the work. A Resident Selection criteria is applied equally to every applicant at Country Brook Apartments. A Criminal Background Check is obtained on every applicant and we review landlord and credit history. If you are unable to provide landlord references because you have no history, we will require two (2) professional character references. An application fee is required and you will be charged for the criminal background check. A security deposit in the amount of one months rent is required along with the rental payment for the month/day of occupancy. We will accept pets at Country Brook and the monthly rental amount is adjusted slightly. • Professional on-site property management by JCM Management Company, Inc.
• Cats and small dogs welcome!! Country Brook offers Hospitality Services. Country Brook offers services designed to recognize our VIPs and make your life at Country Brook Apartments more enjoyable. This is just one of the ways we can say "thank you" for choosing Country Brook Apartments to be your home.